I couldn’t help but notice the number of Africans or actors of African origin represented at this year’s Academy Awards. So I decided to give you an overview, before Sunday March 2nd. I think this is the most we have ever had Africans nominated in such key roles, and who could possibly win key awards. 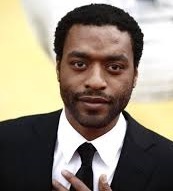 For starters, in the ‘Best actor’ category, our Nigerian-British brother Chiwetel Ejiofor has been nominated for his outstanding performance as Solomon Northup in 12 Years a Slave, for which he won a Golden Globe nomination, and a BAFTA award for best actor. Ejiofor faces fierce competition against Leonardo DiCaprio (The Wolf of Wall Street), Matthew McConaughey (Dallas Buyers Club), Christian Bale (American Hustle), and Bruce Dern (Nebraska) in the Best Actor category. Whatever the outcome, I am extremely proud for this actor I have seen growing on screen since his first big appearance in the Steven Spielberg movie Amistad, to his great performance in Spike Lee‘s Inside Man playing alongside Denzel Washington, Clive Owen, and Jodie Foster. 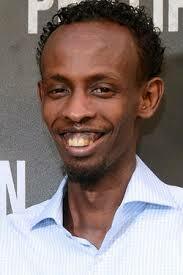 In the ‘Best actor in a supporting role’ category, Somali-American actor Barkhad Abdi has been nominated for his performance in Captain Phillips, which is his first cinematic work. His performance as a ship hijacker and pirate leader won him several nominations from the Screen Guild, and Golden Globe awards; he has also won a BAFTA award for best supporting actor for this performance. We wish him the very best against Bradley Cooper (American Hustle), Michael Fassbender (12 Years a Slave), Jonah Hill (The Wolf of Wall Street), and Jared Leto (Dallas Buyers Club). In the ‘Best Actress in a Supporting Role’ category comes the stunning Kenyan Lupita Nyong’o nominated for her portrayal of Patsey in 12 Years a Slave. A Yale graduate, and a Kenyan actress (in the Kenyan series Shuga) and producer (of a documentary on the albino population in Kenya), 12 Years a Slave is Lupita’s first American film debut, and has already garnered her a Golden Globe and BAFTA nominations. Lupita won the Screen Actors Guild and Critics’ Choice Award for Best Actress in a Supporting Role for this performance. Imagine my joy when I will see a pure African beauty walk the red carpet on Sunday! No matter the outcome, I am just so proud of this gorgeous sister who will face fierce competition from Sally Hawkins (Blue Jasmine), Jennifer Lawrence (American Hustle), Julia Roberts (August: Osage County), and June Squibb (Nebraska) on Sunday. I must admit that she just reminds of a pure Luo (or Massai) beauty when she wears her hair really short! Other Africans represented are Egyptians director Jehane Noujaim and producer Karim Amer for the documentary The Square on the manifestations at Tahrir Square. This film was released on Netflix, thereby giving Netflix its first Oscar nomination. I am just extremely proud of our brothers and sisters who are raising the African flag high at this year’s academy awards. Our prayers go with them, and we wish them the very best. 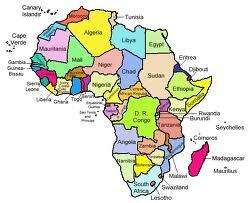 We, Africans, have actors and actresses worthy of the greatest cinematographic accolade in the world!!! I pray and hope all is well with you and yours. I did not get a chance to watch the award show, but I’ve read and heard about the winners and who all showed up and showed out. Cant’ stand the indignant ones!! As humbly spoken, have a great weekend lovely.